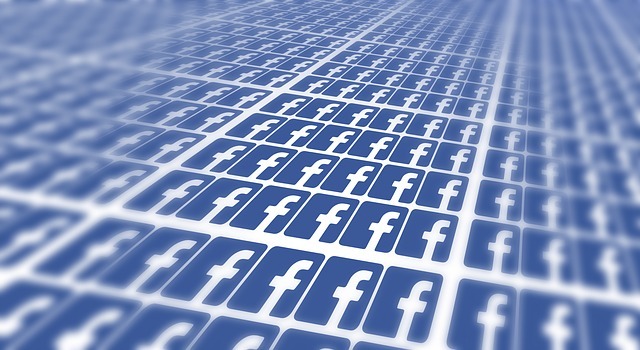 With more than 1.5 billion registered users, a figure continuously rising, Facebook is a social networking powerhouse. It’s worth more than the annual output of many countries and has users from all across the globe. The amount of data Facebook has, and the detail with which people willingly share information about them on Facebook, makes it any marketer’s dream platform. Just look at some of these stats. Facebook has more than 1.5 billion registered users. More than 699 million people log in to Facebook every day. An average person spends around 15 hours and 33 minutes on Facebook every month. This makes it a total of 700 billion minutes globally. More than 2.5 million websites have integrated with Facebook. Currently there are thousands of Facebook pages where people are selling products directly to their fans. While it’s not always the best strategy to depend completely on Facebook for ecommerce sales, it certainly can be a part of your broader ecommerce plan. If you have an ecommerce website or an online store, you can use the power of Facebook to reach your target customers much more effectively and drive them to your online store and boost sales. Here are a few tips for using Facebook to strengthen your ecommerce store. Quality content is the king everywhere. But the kind of content that resonates with Facebook users is very different from blog content or articles. Here, if you write 1000 word status updates, very few of your fans will have the patience to read till the end. Facebook users like short, catchy, visually appealing and action oriented posts created in a fun way. Above all your posts should provide users value. Demonstrate your knowledge about your niche and products in your status updates. Also, don’t be obsessed with your own product images, links and blog posts all the time. Regularly share stuff from other blogs and websites that your fans may find useful (not from your competitor’s site, of course). Your ecommerce store should also be optimized for maximum Facebook engagement (Likes, Comments, Shares). You can do that in a number of ways. Offer sign up via Facebook. Make sure your store’s product pages have clearly visible social media sharing widgets. Add the Facebook comments widget to your product pages so that the user comments are visible on their Facebook profiles as well. Add a small statement below the product images encouraging users to share on Facebook. These are basic things but many ecommerce stores don’t have them in place because of which they fail to take advantage of Facebook. Whenever you add new products to your store, you’d most likely share them on your Facebook page. When you do that, make sure you add an engaging 1-2 line description with your links. Engaging or catchy descriptions drive more clicks as compared to simple link shares. Using emoticons increases comments by 33%. Question posts get 100% more comments. Quotes get 26% more Likes and 19% more shares. Also, make your descriptions action oriented and add clear calls to action with them. Facebook recently introduced the “Add Call to Action” option with status updates. Always use it with your status updates and link shares. Facebook users love contests and discount deals. Running competitions is found to be the most effective engagement technique for ecommerce stores. Almost 35% users “Like” Facebook pages to participate in contests. So give them what they want. Ask questions and use “Like for Yes, Comment for No” type techniques for feedback. These small fun activities can boost your engagement significantly. I’ve already mentioned the importance of content, but visual content deserves a separate mention. Facebook users love visual content like images, info graphics, videos, memes etc. Image based content gets almost 40% more interaction as compared to simple text posts. But to get the best results, you need to mix up your updates with a combination of text only, text+image and image/video only updates. For ecommerce stores, product images get the highest engagement. There’s no better paid advertisement mode for ecommerce stores than Facebook advertisements. Facebook Ads have improved drastically over the last couple of years. They’re not only much simpler to configure but also bring much more targeted results as compared to other advertisement modes. You can target users based on their location, interests, gender, like/dislikes, recent activity, pages liked and dozens of other criteria. Start with a small budget of around $50 and test different ads to see what works well for you. Once you understand how it works, increase your budgets gradually. One important thing is to make the payment and buying process as simple as possible for your customers. Normally ecommerce stores add a link to the product pages with their Facebook status updates. There’s nothing wrong in doing this, but since it involves multiple redirections, there are high chances that buyers would abandon the purchase mid-way through. A smart option is to use a direct link to the checkout page or, even better, use a Facebook app to accept payments directly on Facebook. There are several Facebook ecommerce store apps where you can configure your products for direct selling on Facebook. A great way to show your fans and prospective buyers that you care about them, is to move the customer support to your Facebook page. Ask users to share their product feedback, compliments/complaints and concerns of your Facebook page. Actively respond to such comments, and ensure quick problem resolution. This will show the world that you really care about your customers. Most ecommerce stores serve customers belonging to multiple countries, due to which they need to operate in different time zones. Of course you can’t stay on Facebook all the time. So it’s recommended that you automate some of your posts to stay in touch with customers from all time zones. You can use the BufferApp or HootSuite for this purpose. But keep posting manually as well. Research shows that the engagement levels are 18% higher on Thursday and Friday, and 32% higher on weekends. Every day, around 1PM gets the most shares and 3PM gets the most clicks. Keep these time slots and days in mind while scheduling your automated posts. Like any other social network, Facebook thrives on user engagement. The more closely you engage your audience through high quality visual content, contests and comment responses, the more action you’d be able to drive from them. But remember that your goal is to route users from your Facebook page to your store, because that is where you can convert them into subscribers – your biggest online asset. Get this template for FREE with giving proper credits to Author. Thanks!